Mark Fathi Massoud, associate professor of politics and legal studies. This year’s 33 fellows were selected on the originality, promise, and potential impact of their proposals. The award allows recipients to devote one to two years to scholarly research and writing that addresses the most urgent challenges to U.S. democracy and international order. 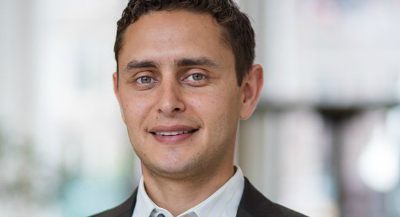 Massoud’s proposal, “Human Rights and Islamic States: Can Religion Rebuild the Rule of Law After War?” builds on his research on law in conflict settings and on Islamic law and society. At UC Santa Cruz, Massoud teaches courses in international law, human rights, and comparative law. Massoud’s first book, Law's Fragile State: Colonial, Authoritarian, and Humanitarian Legacies in Sudan (Cambridge University Press), received awards from the Law and Society Association and the American Political Science Association. In it he traces how colonial administrators, post-colonial governments, and the international aid community each used law to build stability amid political violence and civil war in Sudan. “I am deeply grateful for the support I have received from my colleagues and students at UCSC in the politics department, the legal studies program, and beyond,” Massoud said after the announcement was made in New York. Massoud joins other Carnegie fellows who will provide new perspectives on firearms in America, abolition of prisons, impact of economic growth on climate change, resettlement of refugees, future of the Middle East, and famine in the 20th century. This is the second year for the Carnegie Fellows program that supports scholars, journalists, and authors whose work distills knowledge, enriches culture, and equips leaders in science, law, technology, business, and public policy. The nominating process entailed three levels of review and began with the Carnegie Corp. seeking recommendations from more than 600 leaders of universities, think tanks, publishers, and nonprofit organizations. They nominated some 200 candidates, whose proposals were evaluated by an anonymous team of prominent scholars and intellectuals. A panel of 16 jurors, including heads of the country’s premier scholarly institutions and presidents of leading universities and foundations, made the final selections. “Our founder, Andrew Carnegie, charged Carnegie Corp. with the task of creating, advancing, and diffusing knowledge in order to enlighten American society and strengthen our democracy. This outstanding new cohort of 33 Carnegie Fellows is a result of that mandate,” said Carnegie President Vartan Gregorian. Massoud joined UC Santa Cruz in 2009. He received his Ph.D. and law degrees from UC Berkeley. He received a Guggenheim Fellowship in 2015.